Type Foreign Letters Without Need of Software with Just a Chrome Extension. Now, Switch typing in different languages with just click of a button. With Google Input Tools extension for Google Chrome, one can type in different language(s) without need of installing separate software. This extension provides a virtual keyboard with supports for over 90 languages. It even can recognize handwriting upto 40 languages. Language support: English, and 40 more. 1. Go to Chrome web store a search for Google Input Tools, or simple click on the above download link and click on “FREE (ADD TO CHROME)“. Google Input Tools: Add to Chrome. 3. Now, a Google Input Tools icon with message pop up appears at upper right corner of browser, indicating that the extension has successfully integrated with the Chrome. Google Input Tools: Install Success Chrome. 1. After installation, you need to add scripts/keyboards of desired language. To do so, click on the Google Input Tool extension and select “Extension Options“. 2. To add desired language, click on the desired language and click on the side arrow to add it. 3. To start using the language, click on the Google Input Tools and select the language. To add keyboard, choose the language with keyboard icon. 4. To use handwriting, use option with pencil icon. Google Input Tools: Hand Writing. 2. Now, un-tick the Google Input Tools to temporarily disable the extension. Click on the dustbin icon and you will be greeted with pop-up, click “Remove” to remove the extension from Google Chrome. Google Input Tools: Disable/Remove from Chrome. Mind The Time, Keeping An Eye On Time Spent On Firefox. Zoom Thumbnail Pictures in Firefox with Thumbnail Zoom Plus. Enable Ratings Preview for YouTube with an Extension. Next story Firefox to Test its New Revenue Model, Suggested Tiles, Starting Next Week. Previous story How to Disable YouTube Full Screen Notification in Firefox. How To: Disabling Java Plug-In in you browsers (Mozilla Firefox, Chrome and Opera), Java Zero-day. How To: Add Facebook Messenger into Firefox. Hear the web with ChromeVox by Google for Google Chrome. 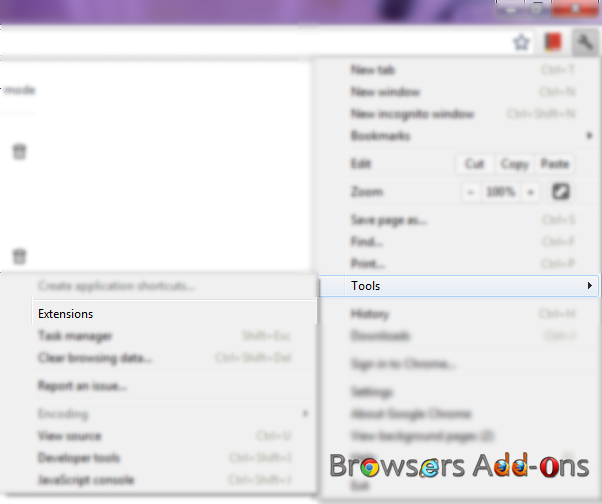 Browse the web care free without worry of malware and viruses with WOT for Mozilla Firefox.